We, the authors, are atheists. 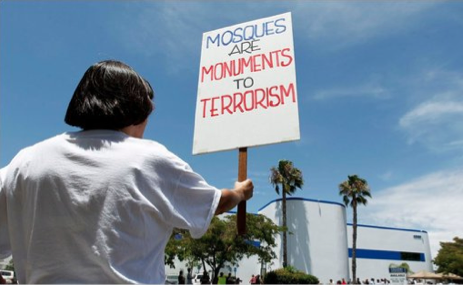 Some will no doubt hold that since atheists abhor religion in all its forms, consistency demands that they oppose the so-called “Ground Zero Mosque” (which in fact is neither a mosque nor at ground zero). The thought is that atheists must oppose the building of any new building devoted to religious observance. But this view about what atheists must believe is false. Abhorrence of religion does not entail abhorrence of the freedom to practice religion. Atheists indeed affirm freedom of conscience, even though they oppose the views to which many are led by their consciences. We atheists are particularly well placed to speak to public matters concerning religious tolerance. As we have no religion of our own, atheists are especially well practiced at tolerating religion. More importantly, atheists are also keenly attuned to the importance of religious tolerance and freedom of conscience for a democratic society. And the controversy over the so-called Ground Zero Mosque is a clash over these very principles. Our view is that those who oppose the Mosque have abandoned fundamental principles at the core of the form of constitutional democracy originated by the United States. This is exactly right. In response to my previous post suggesting that Muslims might be well served by praying at ground zero in protest, I was met with some bafflement. "Since you, an atheist, think that prayer is ineffectual and a total waste of time, how could you promote that anyone should perform it?" and so on. My response to that type of question has been that I also think walking in a circle while waving about a piece of cardboard is a waste of time, unless in doing so one is effectively protesting a meaningful issue. I would of course prefer that people not waste their time in prayer, but as such a preference is unlikely to be granted in the near future, Muslims might as well help show the stupidity of arbitrary no-Islamy-stuff-going-on zones by doing it there instead of elsewhere. The sacrifice of pluralism on the Tea-Party altar is the (by now) old chestnut "of course, they have the legal right to build it, but that's not to say they should build it." This 'argument' does not persuade me of anything except that the person saying it paints all Muslims with the brush of terror, or else that they hold the condescending and cynical belief that we should act as if such a libel was acceptable merely to placate a public insufficiently equipped to understand why doing so is irrational and wrong. "Sure, as a black boy you have the right to study here, but since nobody wants you here, and since there was violence committed near the school nine years ago by some other blacks, it would really be a slap in the face if you were to attend here. We support your right to attend an integrated school system, we just would appreciate it if you would do it somewhere else and respect that this area should remain white, for emotional reasons of course... you understand, don't you?"